This Letter of Agreement dated ______of__ ____, will serve as an agreement between Red Studio and the undersigned exhibiting Artist. 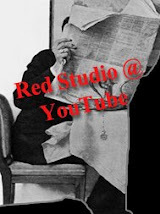 Red Studio shall provide a space for Artist to exhibit his/her artworks. Artist will be entitled to hang more than one art work (depend of the size and membership level) , at all the time. Artist will also be entitled to one solo exhibition on a rotating basis that will be determined by the exhibition’s director. Artist shall be entitled to display, at all times, properly shrink-wrapped artwork in the bins. It is the Artist’s responsibility for login-in and log out all artworks desired to be displayed. Upon acceptance of this member Letter of Agreement, Artist must pay a one-time initiation fee according to the membership level desired (as shown below). The initiation fee and the first monthly payment are due before Artist’s work is hung. 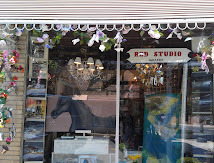 Artist who work on commission pay 30% commission to red studio gallery. Artist will pay expenses for his/her solo or group shows including mailing, special publicity, photocopying, invitations, catering, opening receptions and etc. This Letter of Agreement refers to a one year_________ or six month________ membership. A two month written notice must be given prior to termination of Artist membership. Red Studio Directors may waive a portion of, or this entire requirement, in cases of urgency, hardships or extraordinary circumstance. Red Studio Directors also holds the rights to levy any special assessments and/or to require a penalty fee for early termination of membership in addition to the pre-established monthly dues. The undersigned Artist agrees to the conditions set forth in this Letter of Agreement.